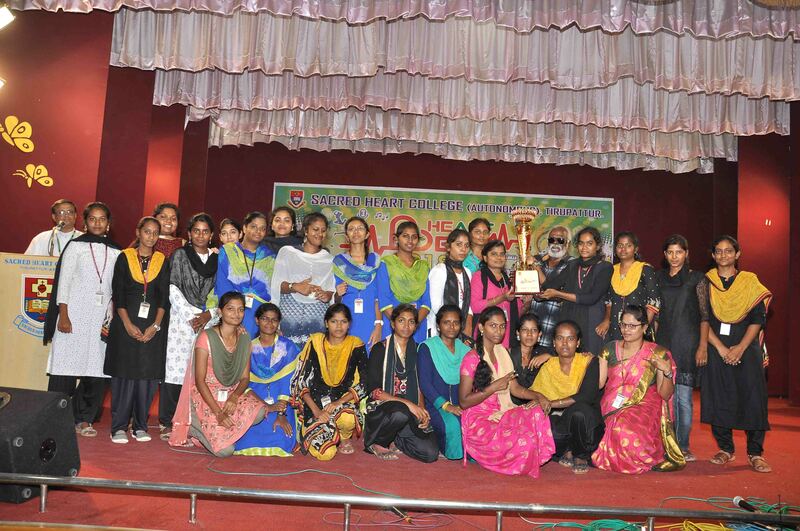 Heart Beat 2018: An inter-departmental cultural competition comprises off stage and onstage events started on 23nd of November 2018 with Poem writing. Events like Pencil sketch, Stand-up comedy (duos), Solo-singing, Elocution- Tamil and English, Short film, Photography, Meme- video and picture lined up for the whole week as off stage events. 30th November 2018, Onstage events took place. The inauguration ceremony started at 9:00 a.m. Rev. 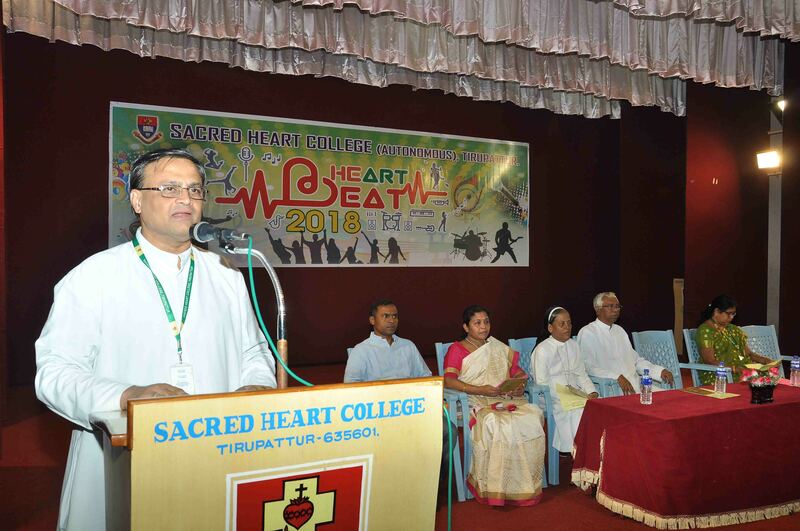 Dr. Antony Raj, Rector of Sacred Heart College, Rev. Dr. K.A. Maria Arockiaraj, Additional Principal, Shift II and the judges of the onstage events, Rev.Fr. Edward, Rev. Sr. Savuri, Mrs. Agila were present. Rev. Dr. Rector declared the opening of Heart Beat 2018. Rev. Dr. Maria Arokiaraj, welcomed and introduced the judges. The following onstage events queued for the day, such as Group singing, Group dance for boys and girls, Skit, Mime, Instrumental solo and the 3 selected participants from stand-up comedy (duos), solo singing. The Chief Guest Mr."Poo" Ram, director and actor for the valedictory arrived and graced the occasion at 4:00 p.m . His Valedictory address inculcated a vibrant fire in the minds of the youngsters. Rev. Dr. Theophil Anand, Vice- Principal Administration, lead the prize distribution Ceremony. The Heart of Heart Beat, the individual championship was given to Mr. Sanjay, from III Physics and to Ms. Sangeetha, III BCA. The proud privilege of the day, the overall championship for girls and boys were won by the Dept. Of. English. Ms. Merlin Florence, Asst. Prof, Dept. of BCA proposed the vote of thanks. With proud hymn of college anthem Heart Beat 2018’s curtain was drawn.